Western governments are rounding on Russia after the crash of MH17. Sanctions against the country will be toughened, regardless of business not being ready for a prolonged economic conflict. Obstinate Russian bulls should be prepared to pay the price of escalating tensions. 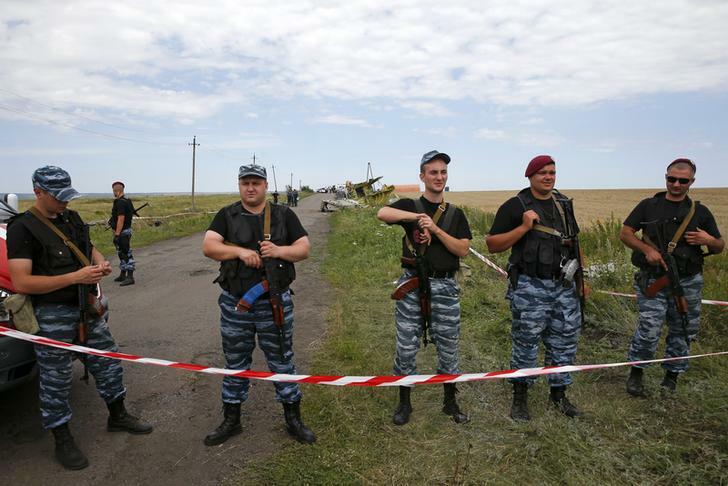 Armed pro-Russian separatists stand guard at a crash site of Malaysia Airlines Flight MH17, near the village of Hrabove, Donetsk region July 20, 2014. Ukraine on Sunday accused separatist rebels of hiding evidence that a Russian missile was used to shoot down the Malaysian airliner, while Britain said Moscow faced "pariah" status and the threat of further economic sanctions. France, Germany and the UK on July 20 warned Russia over further sanctions if it did not help establish a safe environment to recover bodies and investigate the crash of Malaysia Airlines’ MH17 flight in eastern Ukraine. Ukraine launched a military assault to break the hold of pro-Russian rebels on the eastern city of Donetsk on July 21 in the first major hostilities in the area since Malaysia Airlines’ flight MH17 was shot down last week. Three members of a Dutch disaster victims identification team arrived at a railway station near the crash site where rebels say 247 bodies have been stored in refrigerated wagons. About one-third of the crash victims were Dutch. The U.N. Security Council is scheduled to vote on Monday on a resolution that would condemn the downing of the plane, and demands that those responsible be held accountable and that armed groups not compromise the integrity of the crash site. The Moscow market’s MICEX index was down 1.4 percent at midday on July 21. It is down 7.5 percent over the last two weeks.